Every February the London Diving Chamber puts on an evening of free inspiration to ignite scuba divers passion and raise funds for The Scuba Trust. On Friday night I listened to 3 exceptional speakers with the diving community at The Royal Geographical Society in London. First up World Champion and Paralympic Champion Danny Crates. Danny lost his arm in a car crash when he was 21. His story is inspirational, including his range of misplaced employment along the way. He wasn’t the best person for the job of promoting the friendly nature of sharks to the public by diving in a shark pool in an aquarium. Remember Danny has one arm. Second, the brilliant and funny Trevor Norton, described as the Bill Bryson of the deep, had the audience in fits of laughter and was an absolute delight. And finally a middle class chap called Monty who impressed us with tales of shark diving in South Africa and behind the scenes tales of his latest Great Escape. The event was also a fundraiser for The Scuba Trust, a brilliant charity that helps people with disabilities and their friends to learn to scuba dive. The Dive Chamber Lectures are a fundraisers dream; a line up of exceptional speakers giving their time for free, a captive audience all passionate about diving and the wealth of experience, friendship and community that diving brings, not short of cash – diving isn’t a cheap sport and is rife with men cooing over the latest pricey dive gadget. The Scuba Trust are missing a trick with the only fundraising on the night from collection buckets and a percentage from book sales. Tap into your core audience, get insights from face to face conversations, get our details, ask for a regular gift, ask for more support for the fantastic work you do in a million more creative ways. 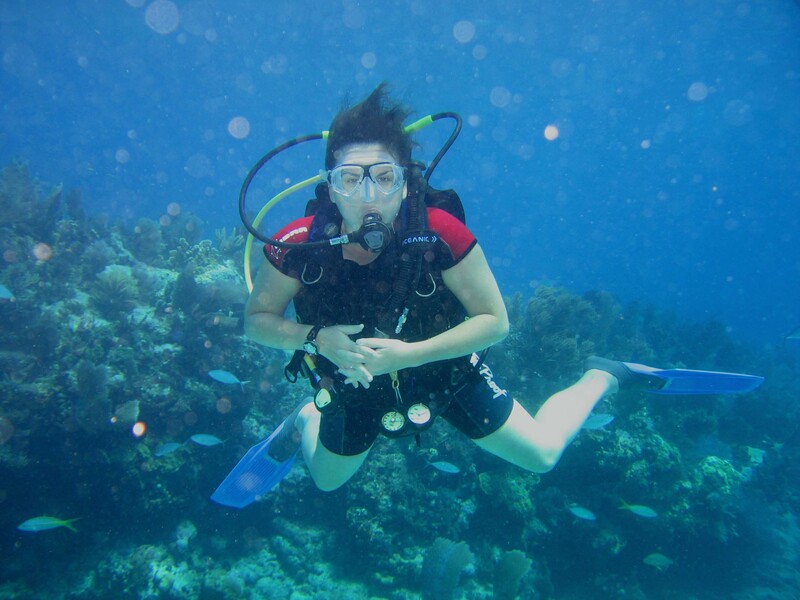 This entry was posted in fundraising, Inspiration, scuba diving and tagged diving, fundraising, Inspiration, paralympic champion, scuba, scuba trust, sharks. Bookmark the permalink.